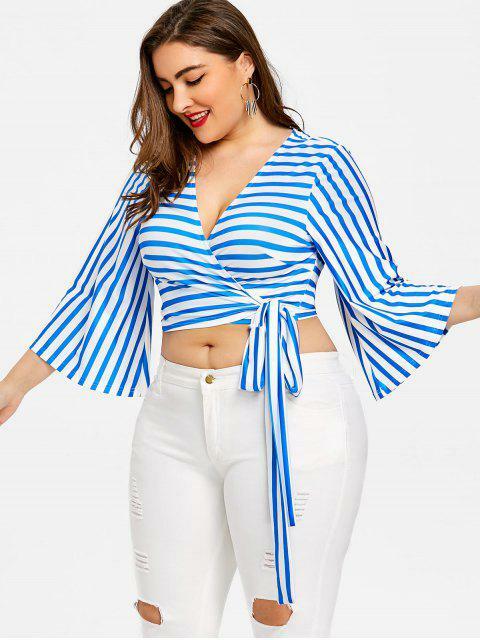 [41% OFF] 2019 Plus Size Striped Wrap Top In BLUE AND WHITE | ZAFUL .. Fits perfectly, Super cute but a little short for me but will be perfect with a white vest top or body suit, Looks exaclty like the pictures and it's so Comfortable. In a blue and white striped pattern, this bell sleeve wrap top will be your go-to all season long with a simple, femme silhouette and a soft feel.